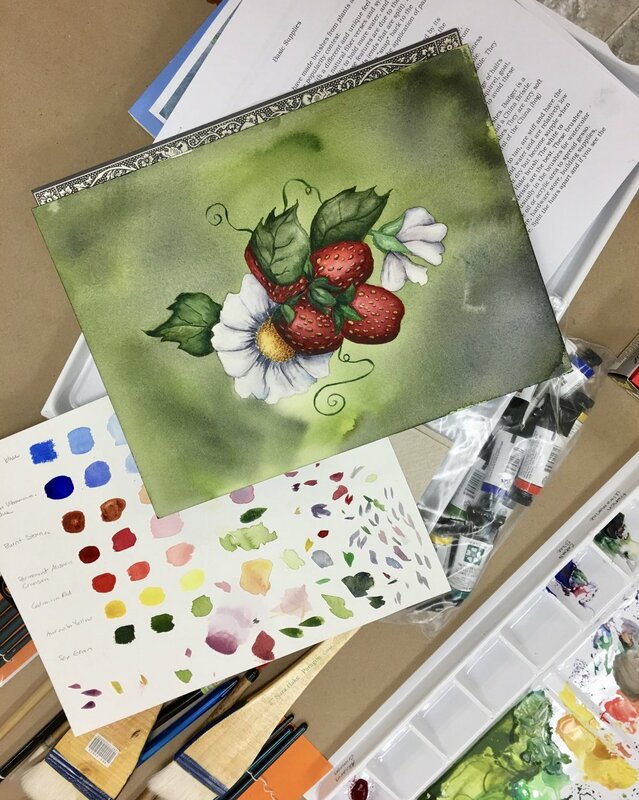 Lynnea Mattson teaches watercolor classes for adults and teens at Cloud 9. Here is a quick post about what is going on in her classes. This week we are finishing up one of my 5-week workshops for beginners. These workshops offer a strong introduction to watercolors with instructions and projects that will help students understand this magical medium. During the first week I introduce students to the materials and supplies needed for successful watercolor painting. Every week new information and projects are presented to increase skills and build confidence. I offer these workshops through June and then start up again the first week of October. This watercolor of leaves is a project from the 4th class in the 5-week series. With this project, we learned about using salt, spattering, alcohol, Kabnet paper, scratching out, Mr. Clean and whatever other special effects we could think of. Lots of fun! I also ask students to bring in their own photos that they would enjoy painting. I help them pick out the photos that would result in the strongest paintings. Considering what I think they will be successful in painting based on their individual skill sets, composition, and techniques we've covered, I help them learn how to create their own watercolors from their own photographs. This painting of rocks is from the 1st class of the 5 week workshop for intermediate and advanced watercolors. I chose river rocks for this project as they provide a great opportunity for further exploring various techniques and special effects that we looked at in our beginners classes. I think when finished we will have some very interesting and beautiful paintings. 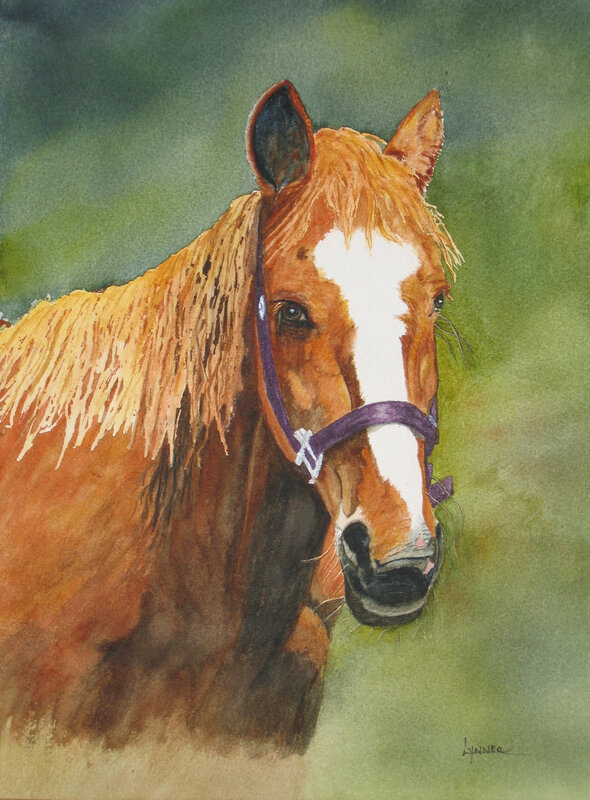 This summer, I will be teaching several workshops on painting animals with watercolors. Painting animals is a personal passion of mine and I'm looking forward to these classes. If you would like to learn more about the workshops I teach or to register, please visit Cloud 9's Adult classes page and / or the Youth classes page. And of course, the summer catalog. To learn more about Lynnea and her art, visit her website at www.lynneadanceswithwater.com.